„Digital technology enables literally anyone and everyone to be a creator, an innovator or an artist — to produce music, to create cutting-edge videos and photos, and to share their creative work. Digital technology empowers individuals to enjoy these new works when, where, and how they want, and to participate in the artistic process. These are basic freedoms that must be protected and nurtured. 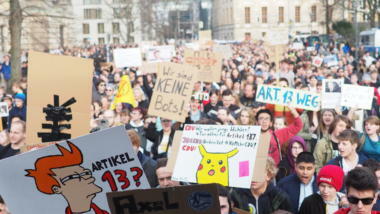 Im Gegensatz zu den Verteidigungskämpfen der Vergangenheit möchte man mit einem eigenen Gesetzentwurf die rechtliche Basis für die freie und offene Entfaltung einer Wissensgesellschaft schaffen: The Digital Freedom Bill of Sights and Sounds.